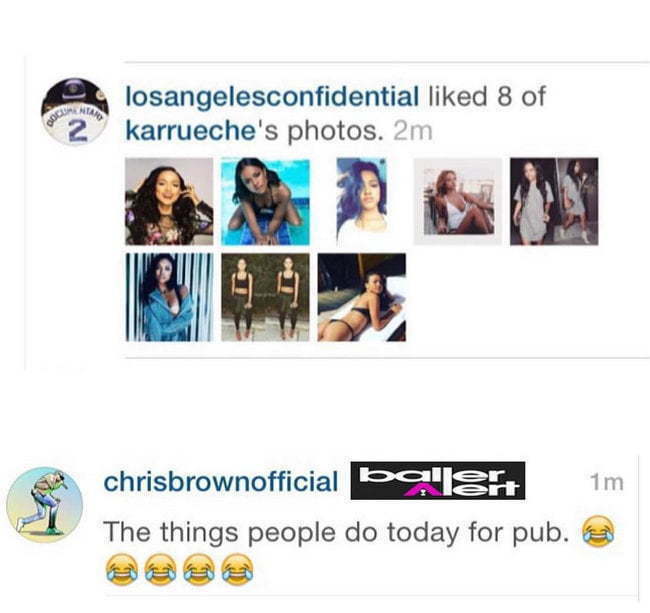 The Game is on Instagram again taunting Chris Brown. The Documentary rapper is on IG liking all of Karrueche Tran’s photos and now he has gone a step further and started following her. Last week Game took some heat from Chris Brown and some of the singer’s fans for liking eight of the the actress photos. “The things people do today for pub,” Brown wrote on IG. 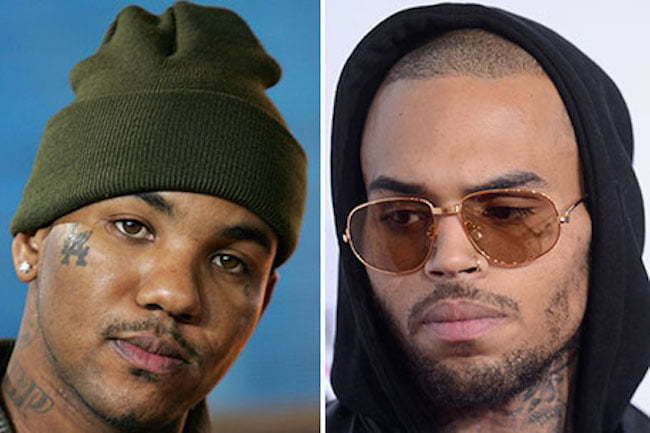 While The Game has not responded to Chris Brown, the Compton rapper did went after one of Breezy’s associate that he claimed is also responsible for the R&B singer’s home invasion robbery. “Keep Throwing subliminals ni**a… We both know when it’s ME vs. YOU who gone come out on top punk… I Still owe you one for that sh** you pulled… We both know yo time coming blood,” The Game told a man known on Instagram as Wackstar. Interestingly, it was shortly after the Chris Brown melee that someone was spotted on surveillance camera vandalizing The Game car. The rap star posted the video footage on his social media page and asked his fans to help identify the culprit. “If you recognize this pu**y or have any info please dm me & I will do the rest,” he said. The Game and Chris Brown have collaborated in the past but this fallout could signal a permanent end to their friendship. The “My Life” rapper once spoke candidly of Breezy who he called his little brother for life. Do you think both rappers should end this beef before things get violent? Sound off in comments below. One of Karrueche and Breezy fans just went off on The Game calling him and attention seeking gangster. Brown responding to that comment with a bunch of laughing emojis. This witch likes attention she is dying to go back to Chris. reminding Chris how good she was GOOD at sucking his TIGER.